Driaan Claassen combines a variety of materials and a love of history to create distinct objects. Driaan Claassen gives luxe bronze a raw appeal. A bronze bowl by the designer. A bronze object by the designer. Natural forms influence the designer's process. For Cape Town local Driaan Claassen, design is a science. 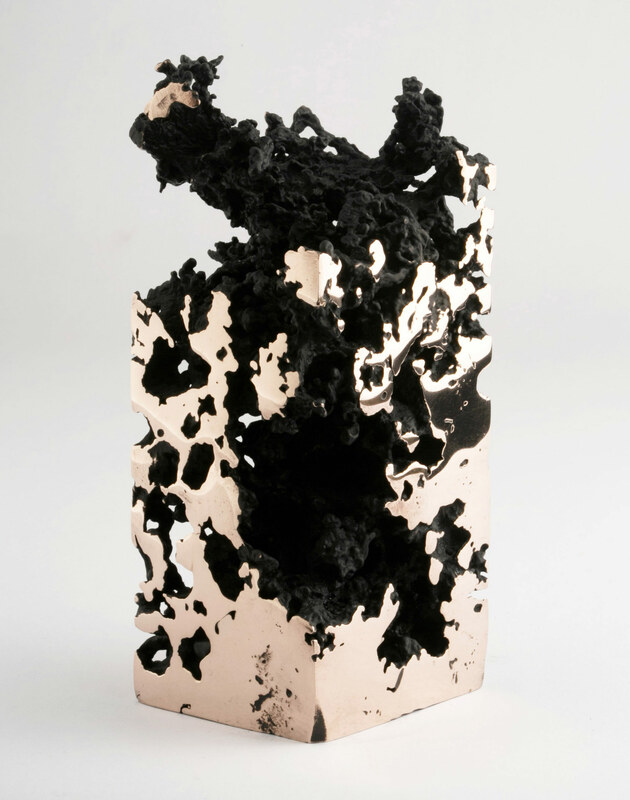 Claassen’s work in bronze has seen him experiment with polyurethane foam, ice, fractals, and chemical electroplating processes to turn complex concepts into shimmering objets, vessels, and sculptures, each of which is an invitation for closer inspection. With no formal education in art or design, Claassen uses his knowledge of 3D design—gained through a diploma in animation—to construct forms and patterns that speak of his obsession with nature. “I’m always observing nature,” he explains, “asking why one flower has four petals, when another has six, or why the bark of a tree is turning while growing.” This intense curiosity translates into studies of geometry, whereby he investigates possibilities of transforming nature’s patterns into processes that can be controlled and repeated in his designs.